Emotional intelligence (EI) is an individual’s ability to determine their own and others’ emotions, distinguish different feelings, using them in guiding thoughts and controlling behaviours, and be able to adapt with the surroundings. This study focuses on the tendency of EI among gifted and talented students. A total of 46 students (27 males and 19 females) participated in order to determine their domains in EI. The Quick Emotional Intelligence Self-Assessment instrument containing 40 items has been used to measure the emotional intelligences’ domains among the students. The instrument consists of items representing four domains of EI, which are emotional awareness (EA), emotional management (EM), social emotional awareness (SEA) and relationship management (RM). The results showed that the highest domain of EI among gifted and talented students is SEA (29.1%). The second highest is RM (26.9%) followed by EM (23.9%) and EA (20.1%). 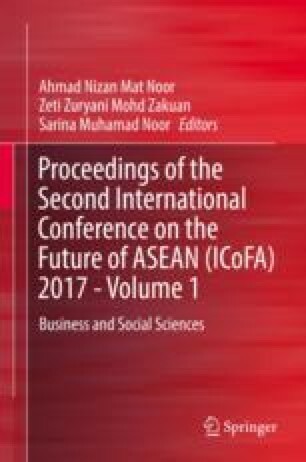 The authors would like to acknowledge all the Muslim gifted and talented students from the Kolej PERMATA Insan for their participation and Universiti Sains Islam Malaysia for providing the research grant. The authors also thank all those involved directly or indirectly in this research. Understanding Emotional Intelligence. (2014). Retrieved from Free Management eBooks : http://www.free-management-ebooks.com/dldebk/dlpp-understanding.htm.